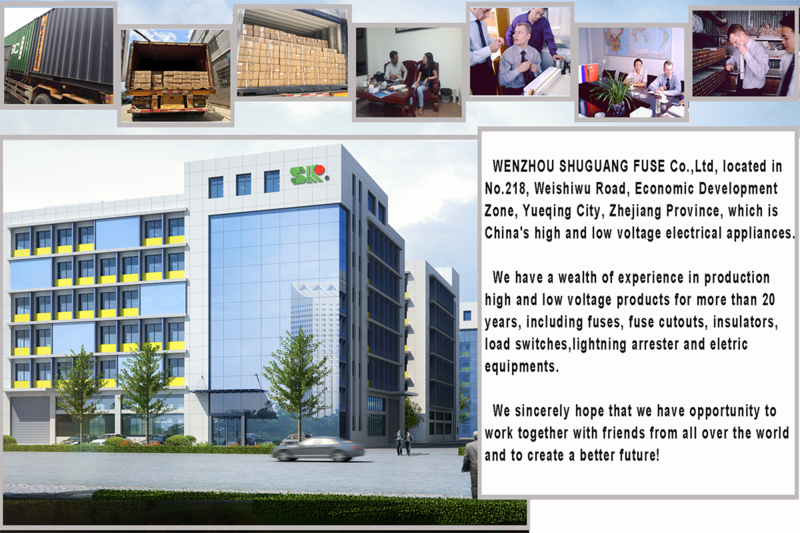 wenzhou shuguang fuse co.,ltd .Specializing produce all kinds of high-voltage fuse, low voltage fuse,dropout fuse,arrester, insulator ect. All of our products are confirm to ICE282-1,GB15166.2 standard.have win got CE&IEC60099-4 ENISO9001 and UL certificat wenzhou shuguang fuse co.,ltd located in NO.431 daxing west load,liushi town,yueqing city,zhejiang,china,our company is established in 1999,with a land area of 50000 square meters.we have 520 staff members at present. specializing produce fuse for more than 15 years.so we have rich experience and strong technical on this line. our company have advanced production machines and complete test equipment, all of our products are tested by authority and the result came to be up to the technical standard. Our company specializing produce all kinds of high-voltage current-limiting fuse, low voltage fuse,dropout fuse(cutout fuse),arrester, insulator ect. series. Any special specifications we can design and custom according to our customer. 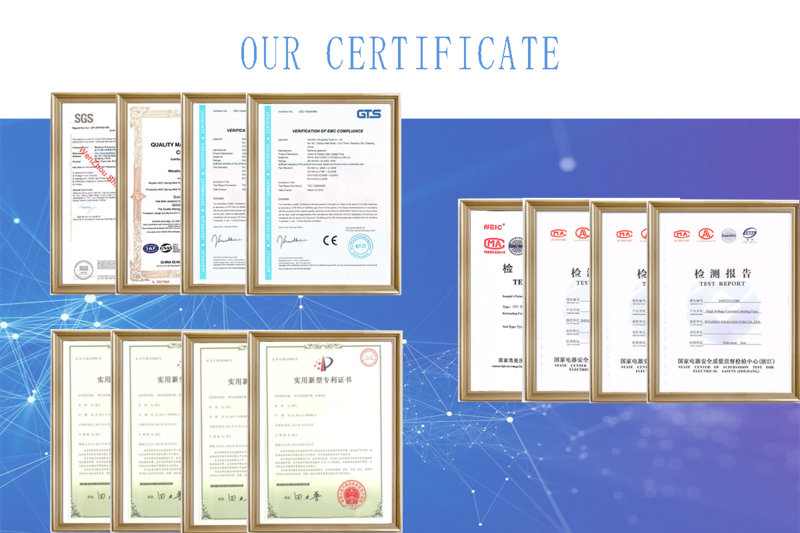 we have obtained ISO9001 Quality Management System Certificate,ISO4001 Environmental Management System Cetificate,OHSM18001 Occupational Health and Safety Management system Cetificate. and We are belongs to the State Machine Ministry of Industry. And we are the member of "China's Electrical Equipment Industry Association". Our market cover whole China, North America, the Middle East, Southeast Asia, Europe etc, In order to keep pace with the market, we develop new products constantly. We always try to provide "High quality Advance technical, Good Service" products to the customers all over the world.